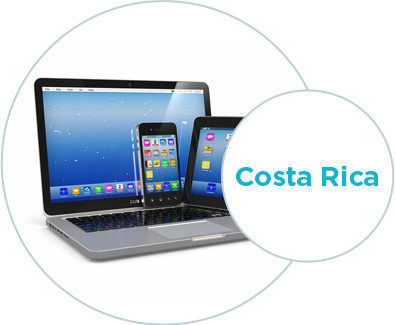 Global Digital Divide’s programs required the acquisition and disbursement of new and used desktop computers, laptops, tablets and smart phones to capable students and schools in Costa Rica. We helped provide a new computer to a classroom full of students eager to get connected with the rest of the world. New or used technology will directly help create opportunity for people to learn from the world’s digital information sources, connect with people around the world and find economic opportunity to supplement their and their family’s income. *Global Digital Divide, Inc is a registered 501(c)(3) non-profit charity. 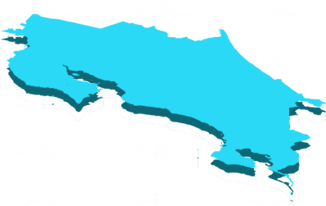 Enter your name and email to receive updates about Global Digital Divide’s past activities, past programs and success stories. The start page on every computer, laptop, tablet or smart phone's browser is the world revered Khan Academy. The Khan Academy is a 'completely free to the user' non-profit educational website that provides instructional videos and practice exercises primarily in the area of K-12 math, science, computer programming, history, art history, economics, English language and more. With a mission that aims to “provide a free, world-class education, for anyone, anywhere,” it is an ideal starting point to help students excel in and outside of the classroom. When one of our devices is used to access the Internet, our recipients are sent to this exceptional tool to help expand their educational opportunities. 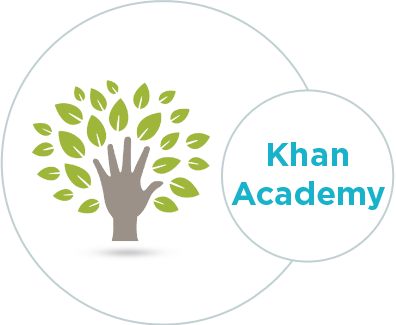 See the Khan Academy (English or Spanish) to discover what our donor recipients are learning every day. There are many benefits for both donor and recipient societies. Economic opportunities are created with computer technology by connecting buyers and sellers or products and services. Fair trade and efficiency are created using technology. Imagine a student in a family of organic coffee farmers gets access to computer technology from your donation and sets up a way to sell their coffee to eager buyers in the United States. The family receives more income and US consumers receive the in-demand coffee. Creating opportunities like this might also slow economic migration. In addition to economic opportunities, there are also opportunities to share cultural ideas. Throughout human history, societies that close themselves off from the rest of the world fall behind. By providing computer technology to those who do not have it, all societies benefit from the rich cultural exchange that becomes possible. With technology people can connect with one another and advance the world by helping all people reach their full potential. Targeted areas for potential schools include those located in San José city, and out to other areas of San José and Alajuela provinces. Our local knowledge of the schools, customs, geography, language and have access to a large pool of potential volunteers in those areas. Volunteers of Global Digital Divide will collect data about candidate schools and, in some cases, visit the schools, make initial observations and conduct interviews with school officials. Initial qualified schools will then submit a written application stating its and its students current technological means, what access it and its students have to support services, and what the provided mobile technology will be used for and its potential impact. Global Digital Divide will choose the most qualified schools to distribute available mobile technology. It will also determine which mobile technology to distribute and in which quantity. A lot of charities help those in the worst living conditions and those with the worst health conditions. We admire the work they do, but what about those who have their basic needs met but need just a little more help to compete in the modern world and enter the middle class? Our world is increasingly dependent on technology and those who do not have access to it fall further behind. We'd like to help these individuals but we need your help. As I've seen with my own eyes, those living in developing world conditions lack a decent infrastructure. Unfortunately, infrastructure projects are extremely expensive and take years to complete. What I experienced was seeing a few individuals bypass infrastructure problems with modern technology. With a mobile phone, tablet, notebook or desktop computer, people are able to live more in the virtual world. They are not stuck on a bus that takes half the day to reach the other side of the city. They are not subjected to as much crime and pollution. And best of all, they are now connected to the global modern world. We in the industrialized world use technology to our great benefit and don't realize it. In the process have moved the divide wider. Give back and help give a school, an individual or groups the chance to live in the modern technological world we take for granted.